This year’s recipe is courtesy of Nick & Jen Demarest, Harvest Moon Cafe, a gem of a restaurant in Sonoma. Typically you will find a member of the Kamen crew eating here any given night of the week. We are proud to service Nick & Jen’s ever changing menu with in season veggies and fruits from the Kamen Estate garden. Nick and Jen are graduates of the Culinary Institute of America in Hyde Park, N.Y. They have experienced a wide array of culinary adventures together, ranging from a biodynamic farm in upstate New York and a private lodge in the Texas Hill Country, to the island of Cyprus where Nick was the personal chef to the American Ambassador. Nick found his culinary way to California with a job at Chez Panisse in Berkeley and Jen at BayWolf and Downtown Restaurant. 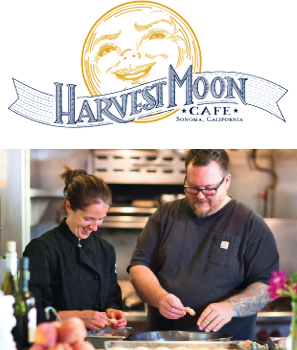 Weekend trips to Sonoma County drew them to the North Bay where they opened Harvest Moon Cafe. 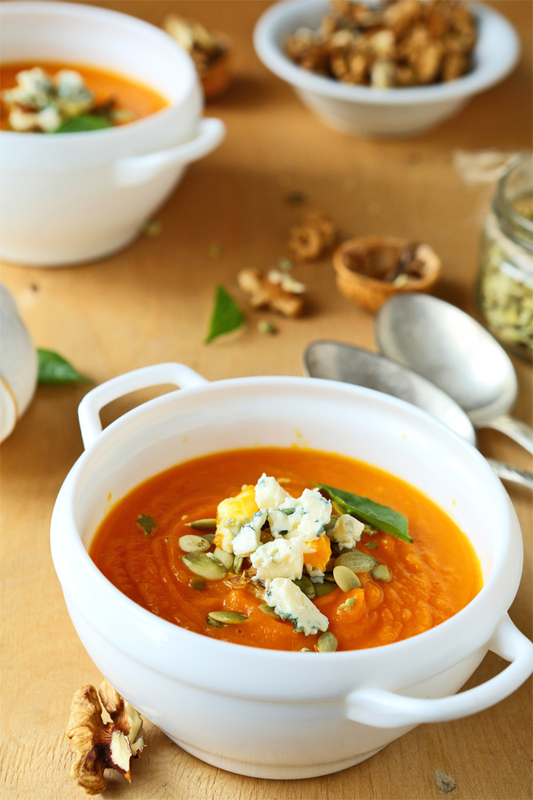 We have no doubt you will enjoy this seasonable recipe! 1. Split squash and pumpkins in half, remove seeds. Sprinkle with salt and drizzle with olive oil. Place cut side down on a baking dish and roast in the oven at 375ºF until soft. 2. Sauté onions and garlic with olive oil until soft. Add chili flake and bay leaf. 3. Scoop squash and pumpkin out of skins and add to onion mixture. 4. Cover with water and simmer 20 minutes. 5. Puree in a blender until smooth, adding the crème fraîche, butter and cheese to the last batch of soup in the blender. 6. Season with salt and pepper. 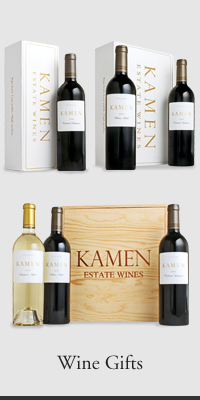 ©2019 Kamen Estate Wines. All rights reserved. Site by designthis!